Feral is a 2017 horror film written, produced, & directed by Mark Young (Tooth and Nail, Southern Gothic, & Wicked Blood). Six medical students which include Alice (played by: Scout Taylor-Compton from Rob Zombie’s Halloween 1/2, April Fool’s Day, Wicked Little Things, & The Runaways), Jules (played by: Olivia Luccardi from Channel Zero, The Deuce, It Follows, & Orange Is the New Black), Brienne (played by: Renee Olstead from Unfriended, The Murder Pact, Still Standing, & 13 Going on 30), Gina (played by: Landry Allbright from Con Air, How the Grinch Stole Christmas, Beautiful, & Getaway Girls), Jesse (played by: Brock Kelly from Desolation, Faded Memories, Portal, & Born to Race), & Matt (played by: George Finn from The Harsh Life of Veronica Lambert, LOL, Time Lapse, & Just Before I Go) are on a weekend hike in the woods. Alice & Jules are in a new relationship together but this vacation turns into a living nightmare when they are attacked by unknown animal. One by one each friend turns into a rabid bloodthirsty creature after being infected with a feral disease. They run into a suspicious stranger Talbot (played by: Lew Temple from The Devil’s Rejects, The Walking Dead, 31, & The Texas Chainsaw Massacre: The Beginning), can he be trusted? or Will they have to kill each other for survival???? Feral brings nothing new to the table but it’s a fun blood soaked “friends trying to survive at the cabin in the woods” familiar type of tale. The gore & special effects are the true highlights here, any horror fan will be satisfied with all the gruesome moments in this. The two female leads Scout Taylor-Compton & Olivia Luccardi plus veteran character actor Lew Temple had good performances & raised the production value for Feral. I can’t say that for the other cast members but luckily it delivered the goods for the other elements expected for this sub genre. It’s one of the better infected & zombie features made in awhile. Especially for being a low budget & independent film, they put every cent into the production & it shows. I’ve always liked the cabin & woods setting, it has a nice isolation feel to it. Mark Young knows what he needs to do when it comes to horror since he’s directed a few others in the past & the final product ends up being very entertaining. It does have a twist to it but for the most part you know what you are getting into with this, RECOMMENDED!!!! 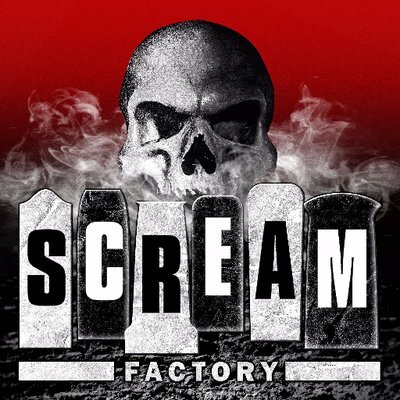 Let’s talk about the high definition presentation from Scream Factory & IFC Midnight! This 1080p (2.40:1) transfer looks great on blu ray. It has a nice atmosphere, the cabin & the woods setting here looks stunning. It has two different options for audio which includes English DTS-HD master audio 5.1 & 2.0 on the disc. The dialogue is very clean, all the chaos here is elevated, & the music has a killer boost to it. It also has English SDH & Spanish subtitles. The “Trailer” is the only extra on this release. 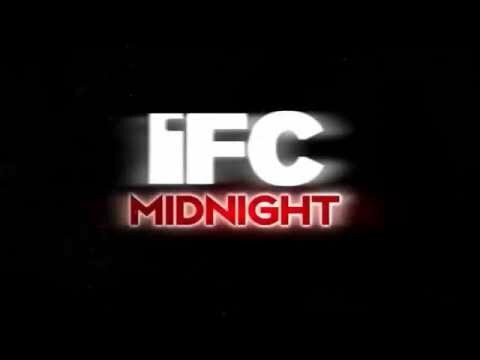 It has a few IFC Midnight related previous before the feature starts. It’s available everywhere right now, CHECK IT OUT!!! !